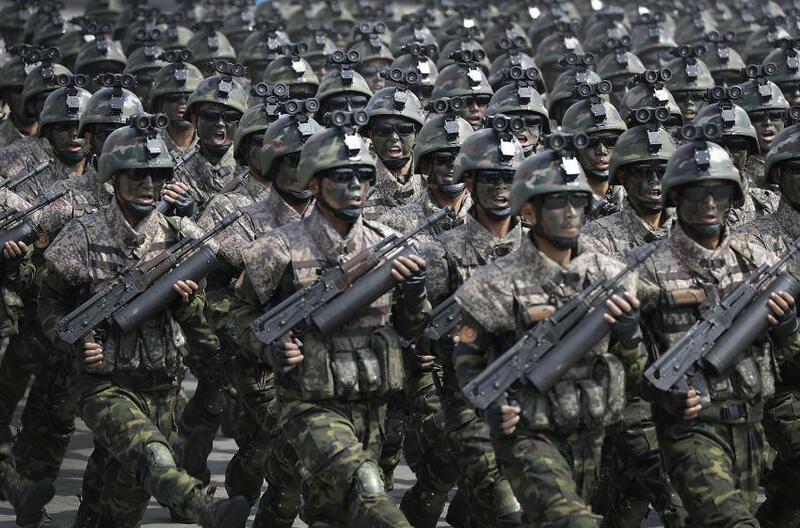 There was a photo from years ago with some North Korean guards carrying AKs with helical magazine. 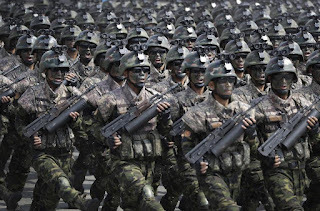 North Korea just had a parade and it was prominently featured in the parade, carried by special forces. Seems like the helical magazine is wired to the barrel. You can also see Baekdoosan pistol(CZ 75 copy) in the chest holster. Holster seems to be made of some hardened material, possibly a Bakelite. Edit: Upon closer inspection, it looks like leather holster.